But don’t go too far away. From 27 December until 31 December we’ll be posting lists from some of our Junior Reviewers — their favourite reads from 2013. May you find books and creativity in your Christmas Stockings! Merry Christmas from Alphabet Soup. Just leave us a comment with the name of your favourite Christmas carol in the comments section of this post. (Make sure your email address is in the details section when you leave your comment—or email us after you’ve commented so we can contact you if you’re the winner). Entrants outside Australia welcome—but we will only post the book to an Australian address, so you’ll need to nominate an Australian address for us to post it to if you win. The giveaway ends 6am WST (that’s when it’s 6am in Perth, Western Australia) on 24 December 2012. We will announce the winner here on Soup Blog by noon on 24th and attempt to get it in the mail to the winner on the same day. 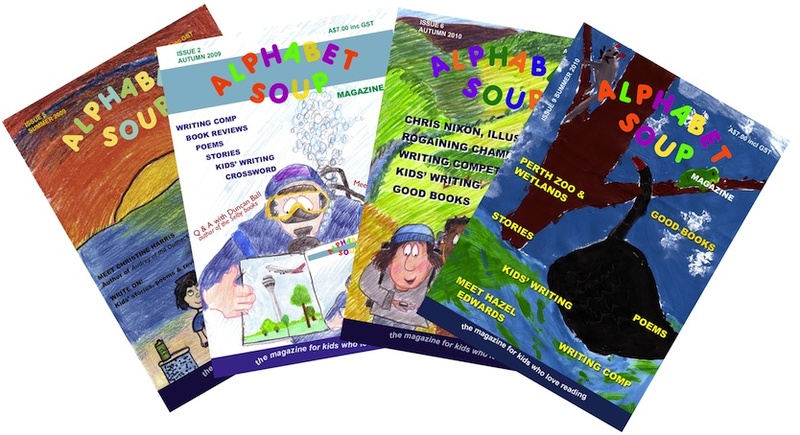 Immediate family members of Alphabet Soup magazine employees are not eligible to enter. This is a random draw. Today we welcome Dimity Powell—Dimity is a children’s author on a blog tour to celebrate the launch of her new and Christmassy chapter book, PS Who Stole Santa’s Mail? 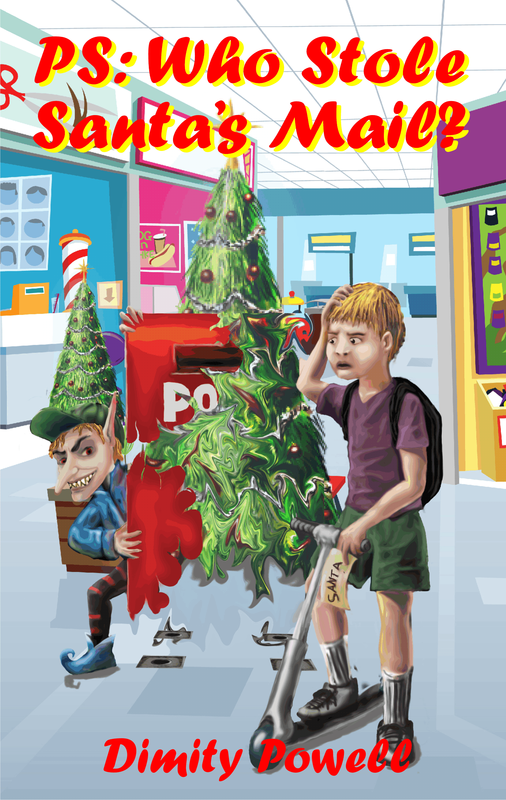 When the post boxes of Bramblebury mysteriously begin to disappear, Sam has just weeks before the biggest day of Santa’s year to discover what’s happening to all the Christmas mail. And then his sister vanishes too. Will he be able to find his sister and save Christmas, along with Santa’s reputation, before the Delivery Book closes for the year? Can you describe your book in five words or fewer? How did you get your idea for the book? 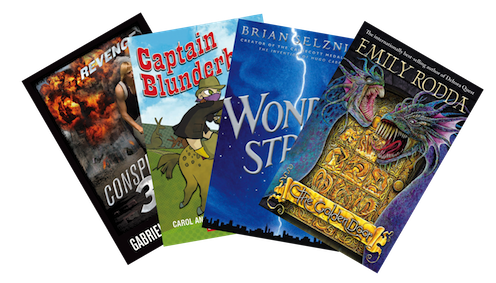 I delight in writing for children, especially those in the ‘golden age’ of independent reading. They believe in magic and that anything and everything is possible, while still being hard to convince. It’s challenging and rewarding. Is your main character a bit like you? Yes. He is a firm believer in Santa Claus, as am I (hand on heart). Apart from that, I’m not as good on a scooter as Sam and I don’t hang out in shopping plazas much. What do you like best about the main character? Sam is a likeable 8 year old whose main mission in life is to ask Santa for his first really big present, his own bike. I love Sam’s determination to track down the missing post boxes, and rescue his little sister and the missing Christmas mail. He shows grit and courage but would not succeed at times if it weren’t for his close bumbling friend, Tobii. I’d like to have a mate like Sam; not too overbearing, not too perfect, but steadfast. I confess, I have never actually made it to Lappland, current residence of Santa Claus, but I have been to his birth place in Turkey, if that counts. Santa’s Winterworld is based on documentaries, articles and pictures I have seen and read of his Lappland home.